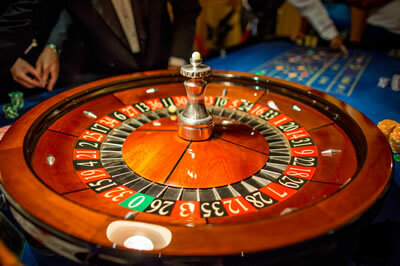 When playing roulette you place your bets on any number, on red or black, odd or even, high or low. The players place their bets using colour chips. To avoid confusion a set of different colour chips is given to each player. Bets can be placed on individual numbers or groups of numbers on the betting layout. When the ball comes to rest on the roulette wheel, the dealer places a marker on the winning number on the table layout and pays the winning bets. Roulette is easy to get started and great fun to play! All our tables are full size professional tables just as you find in a real casino.